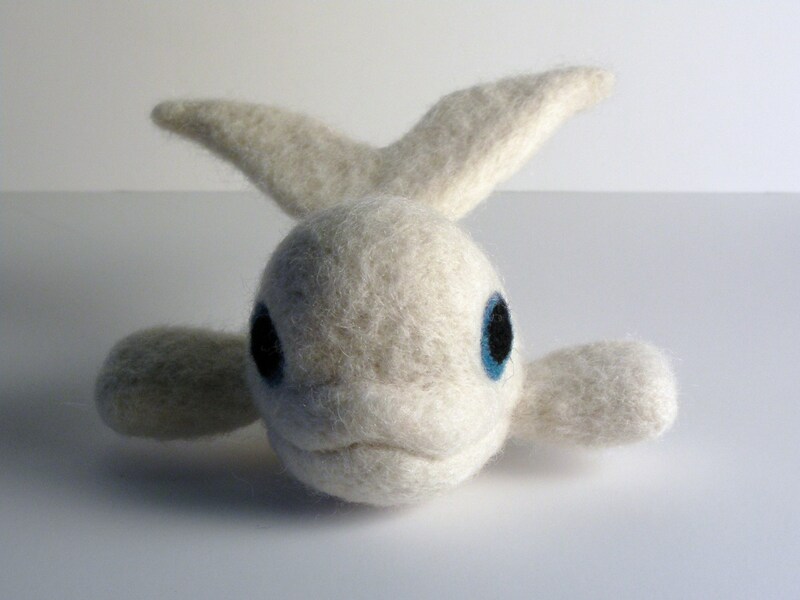 A Needle Felted Beluga Whale . . . Smile! 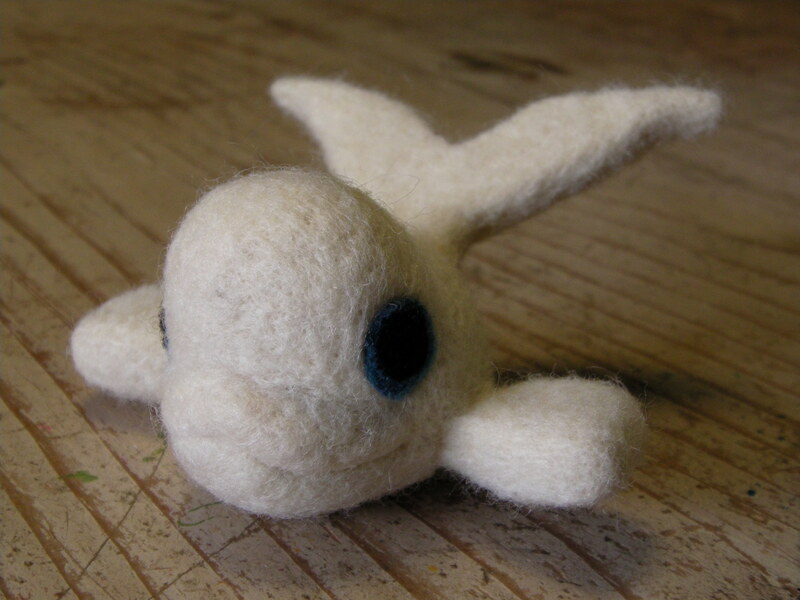 To continue with my ocean collection, I’m showing you my newest addition today-a felted beluga whale! Yes, yes I know belugas are never seen on a warm, sandy beach, but I couldn’t resist trying my hand at this arctic cutie. So here he is all bright white and happy. Beluga means “white one” in Russian and this little toy is all white indeed. Only the adults are all white; the babies are a brownish-gray. The beluga is also called a sea canary because they make pretty noises under the water. The big lump on their head is what they use to make these sounds. This lumpy mass changes shape as they make different noises. I never really got why everybody is gaga over the beluga whales, but I suppose it is because they constantly appear to be smiling. This little beluga won me over and now I’m a fan; hopefully this little beluga toy has won your heart as well.